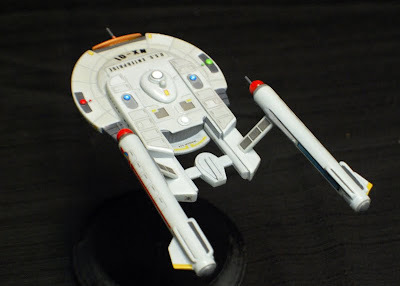 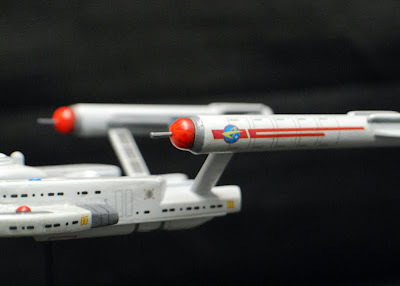 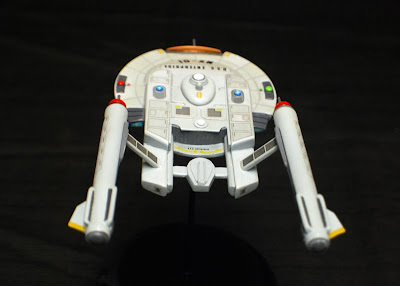 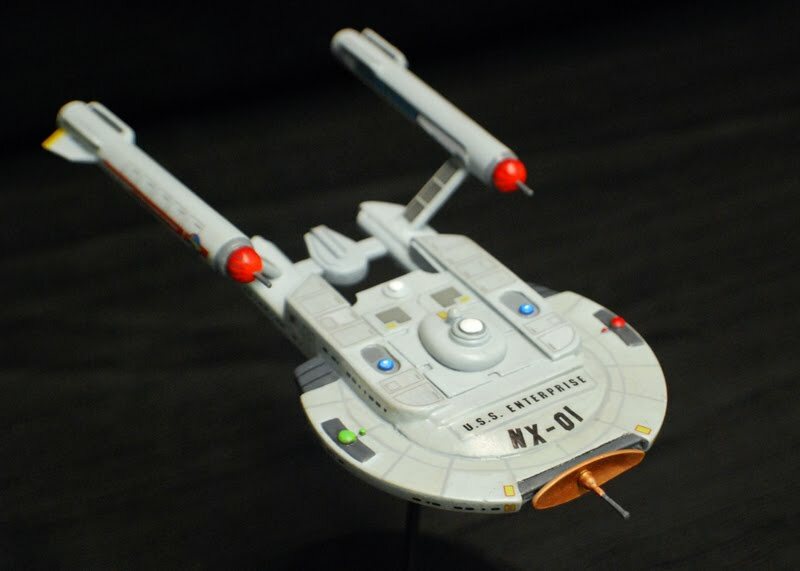 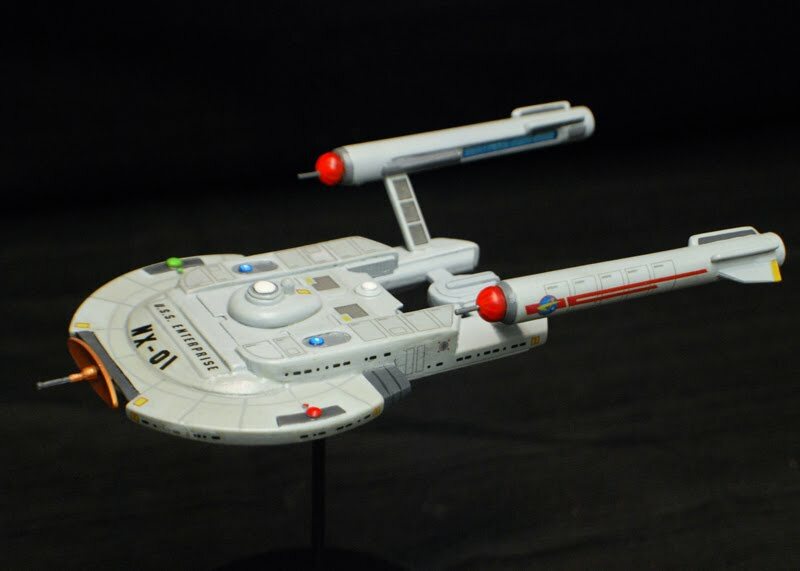 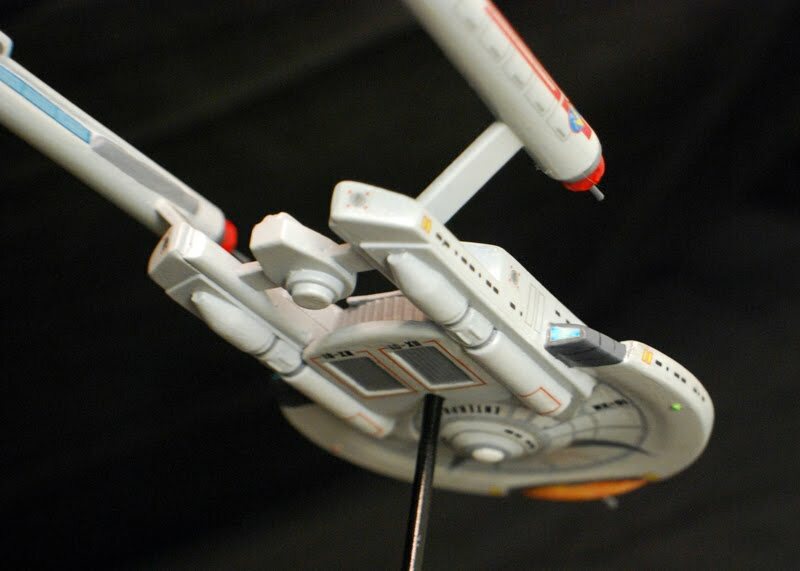 I used the enterprise form the AMT 3-piece set as a base. 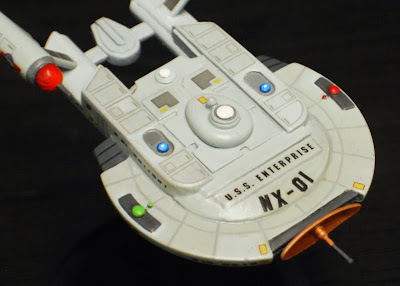 I modified the nacelles, built up the core section form styrene and putty and a few spare bits on top of the pre-existing saucer. I replaced some enterprise style details with TOS style details (like the lower shuttle bays), built the deflector from sheet styrene and made custom decals for the entire kit.